Soccerwidow’s own régime relies on portfolio betting to spread risk and choose ‘value’ bets from the entire spectrum of probability groups (clusters). 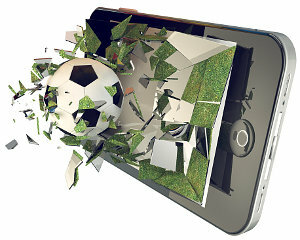 For example, up to the end of May 2012, the monthly evaluations of Soccerwidow’s match previews showed an average hit rate of 57% (Soccerwidow’s Match Preview Results: 6 Months, 207 Bets, Dec 2011 – May 2012). However, as already mentioned, this number tells you nothing about the quality of the predictions, because to link these criteria would be comparing apples with pears. Nevertheless, what it does say is that 57% of the recommended bets won. Nothing more. Again, this is not a statement of a good or a bad hit rate. Soccerwidow’s recommendations encompassed all probability clusters (0-10%, 10-20%, etc. ), and thus all possible expectations of concrete hit rates. Each cluster needs to be evaluated separately, since the average hit rate has no meaning whatsoever. Remember: The hit rate, no matter how high, says absolutely nothing about potential and/or realised gains or losses. This leads us now to the concept of VALUE. Betting profits can only be achieved in the long run if you ‘lay’ or ‘back’ at odds that do NOT exactly represent the average odds (expected outcome). In other words, you should lay when the odds are lower than the expectation and back when the odds are higher. To reiterate, a bet is called a Value Bet if the market’s back odds are higher than the expected odds, or the lay odds are lower than expected. The ‘value’ of a bet is its mathematical advantage (‘edge’), being the expected profit from the betting transaction. The concept of value is often mixed-up with the term hit rate. However, these two terms have no relation to each other. Back to our example, Bayern Munich v. Chelsea: The chance (= probability, expectation) of a Bayern victory was 64.6%, which, translated into odds, is 1.55 (1 divided by 64.6%). The betting odds in the market that day were 1.81, representing a probability of 55%. This meant that Bayern were 16.7% over-priced (1.81 divided by 1.55 minus 1), and therefore a back bet on Bayern held ‘value’ (= a mathematical advantage). As it turned out, Bayern lost the match to the great disappointment of many German fans (Boo! ), but to the professional gambler a loss such as this makes no difference because he/she knows that from 100 similar bets, ultimately 65 will win and 35 will lose. The profit from these transactions will be around 17% of the total capital employed (= Yield). A professional bettor appreciates that not every bet will win. A 64.6% probability means a 64.6% expected hit rate; no more and no less! The value lies in the odds (price), not in the hit rate on the day. The terms ‘hit rate’, ‘probability’, ‘likelihood’, ‘chance’ and ‘expectation’ are, more or less, synonymous. Ahead of the game one speaks of chance, probability, likelihood and expectation (future events), and after the match in the evaluation process it is then referred to as the hit rate (past events). If you would like to learn how to calculate true probabilities and convert them into odds, identify cluster groups for betting, and understand value, then why not have a glance at Soccerwidow’s Fundamentals of Sports Betting Course). May I know how you get 41.88% probability for OVER 3.5 goals (top of page 15)? Please ask any further questions in the article which is related to the course. This here is the wrong article! the course is designed to teach how to develop odds calculation tables yourself. We have a DIY approach and our main goal is to empower people with the knowledge necessary to utilise raw data according to their individual needs. 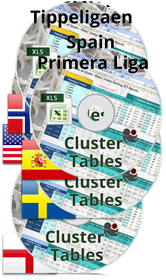 Therefore, please download (for free) any league data of your interest from football-data (link is provided in the course), and then create your own tables. You may ignore the previous post! By the way, when is the best timing to achieve initial odds from betfair? Regarding initial odds there is no straight forward answer as it really depends when they open a market. Sometimes this is a week before a match, sometimes just a few days. I think that the Betfair Community is for your question probably the better advisor. I just bought ‘Betting on Over/Under’ from you. From table (at page 4) you mentioned 24 matches with 0 goals for Bundesliga table. Understand that there are only a total of 18 teams in the table. Which means there will only be 34 matches for the whole season. If there are 24 games with 0 goals. then what about the rest with 1 goal(45), 2 goals(76) all the way up to 7+ goals? Does that include 2.Bundesliga table and other tables as well? Is there anyway I can bet solely on handicap and to win everyday? specialising on one bet type is clearly crucial. This is the only way for individuals to understand a particular market in great detail. However, even specialising takes a long time until all alleys have been explored. Regarding winning every day… assuming you find a sound and long-term profitable strategy… it is the size of your portfolio which matters to reduce on deviations. Once again congratulations on your great job with this site. I have a couple of questions to you. when you find value bets do you have a minimum value to accept it has value? Let me explain, i’m planning next season with my own selections and one item to me is that there has to be a minimum 10% value to take a bet. I know value is value but like this i think i may create a security margin that can be helpfull. what do you think about it? and another question is about staking plan, sometime ago you told me that you were studying some changes to your staking plan.Do you have any news about it? thank you. It all depends where you place your bets, and also on the probabilities of the bets. If you bet e.g. in Betfair you need to consider the 5% charge of your winnings, and if you are becoming too successful then you’ll be charged even more (Premium charge). Our rule of thumb is that the lower the probabilities the higher the value must be. 10 to 15% value is fine for us if the probabilities are high, but the lower the probabilities the more value we are looking for. But I would think it is different for everybody depending on their particular strategy. Regarding the staking plan, we have decided to stick to the fixed risk/fixed win when publishing results. Anything else will not allow comparisons with past results.